The School Council is a group of children chosen by the children, for the children. The School Council is a way for us to have a say in school. The School Council class representatives (or ‘rep’s) are chosen by voting in each class. Rep’s are selected because they can speak for others, can represent their class and can feedback information to their friends. The council meets every 2 weeks to share their classmates’ thoughts and opinions on a range of different agenda that are presented to them by lead staff, covering many different subjects such as, fundraising, school meals provision and reviewing aspects of teaching and learning. The school council is headed up by a Chair and Vice Chairperson. They are supported by a Senior Committee team of Y5 and Y6 rep’s who help the chair and vice chair to carry out their actions when a larger team is needed. 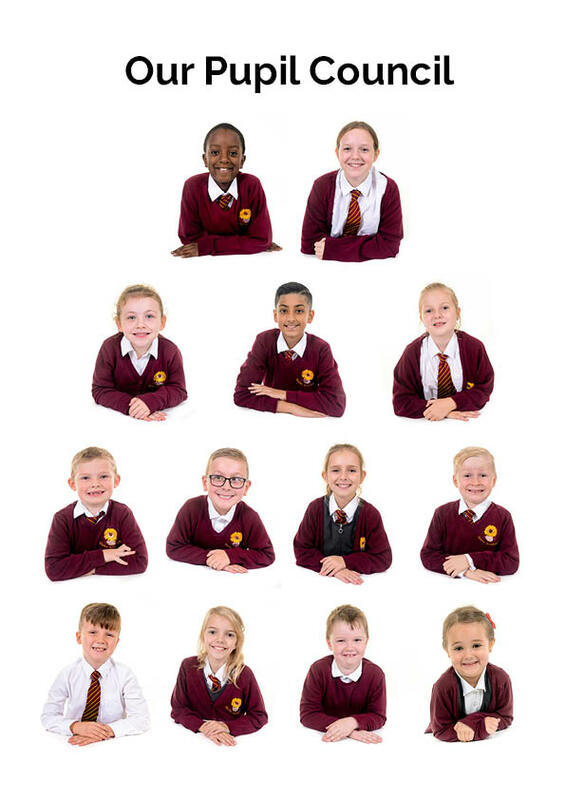 Every Summer at Glebe Academy, we hold a whole school election to give all the children a say on who they want to run their school council in the coming year as Chair and Vice Chair. Candidates from Y5 and Y6 are invited to put themselves forward for the school election. They have a very busy time writing campaign statements and making posters. They are required to give speeches and answer surprise questions in front of the whole school as well. What is our vision for the school council this year? We want to make sure that every child from FS1 to Y6 has the chance to speak about their ideas so that Glebe Academy can become even better as the days go on. We want to create a positive and exciting future for everyone including the staff. We see ourselves as part of a big team, working alongside the wonderful staff here at Glebe and want to promote friendship and loyalty.